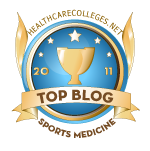 Natural Sports Medicine Blog: Chiropractor or Certified Sports Chiropractor: Is There A Difference? Chiropractor or Certified Sports Chiropractor: Is There A Difference? So, you’re an athlete of some kind and you now find yourself in need of a chiropractor for your sports injury. You do a Google search or check Yelp for some guidance. There are ‘lots’ of chiropractic physicians listed and most seem to have pretty good reviews. But, being an athlete you want someone that understands you better and you think going to a sports chiropractor is the way to go. But is there really a difference between a standard chiropractor and a sports chiropractor? The short answer is yes. Although many chiropractors will list “athletic injuries” or “sports injuries” on their long list of conditions treated, there is an actual post graduate specialty in chiropractic sports medicine. And no, having been an athlete in high school, or college, or even the pros doesn't qualify you as a "sports chiropractor". You can't just have played sports, there's a lot of education required too. Prior to the development of a formal chiropractic sports medicine education programs, “sports chiropractic” dates back to the 1930s. Sports chiropractic was born during the World Champion New York Yankees Babe Ruth-Lou Gehrig era. Dr. Erle V Painter is the first known sports chiropractor. He was the NY Yankees athletic trainer. Combining his knowledge and experience of athletic training with that of chiropractic medicine, he took care of the most famous players the game of baseball has ever known. And if history tells us nothing else, we know they performed very well. As a base education, both chiropractic physicians and medical physicians education is more similar than you may have been led to understand. A September 1998 study revealed that of the core curriculum (physiology, pathology, chemistry, biochemistry, microbiology, diagnosis, neurology, psychology, psychiatry, OB/GYN, x-ray and orthopedics) and clinical sciences, that chiropractic students spend 3790 hours for these basic sciences and clinical sciences vs 2648 for medical students; and 1405 hours of clinic experience for chiropractic students vs 5227 hours for medical students (which includes their 3-year medical residency) (1). Medical students then go on to their specialty training. What the general public (and the medical profession for that matter) doesn't know, is that like medicine, the chiropractic profession has many post graduate specialties as well. The oldest (formal) post graduate specialty is radiology and requires a 3 year residency. There’s also orthopedics, sports medicine, neurology, internal medicine, rehabilitation, functional medicine and more. Some of these specialties have more than 1 level of proficiency, such as the sports medicine program. These programs are post graduate study, 1-year for the base level certification and 3-years for the “diplomate” level. It is the "diplomates" that are the specialists of a particular discipline of study of post graduate study. In the United States, the American Chiropractic Board of Sports Physicians is the certifying organization for the chiropractic sports medicine educational programs, examination process, credentialing and for the ongoing re-credentialing for year to year re-certification. Within each of these base subjects come the specifics associated with athletes of different sports & different populations (gender, age, special needs, etc). Within the chiropractic sports medicine specialty after completing your first 100-hours of study, you must pass a national board examination. Once successfully passed you are now a “Certified Chiropractic Sports Physician®” and can go on and complete the remaining hours for specialty status. You’ll complete the coursework and take a second national board examination. Once successfully passed, you then sit for a multi-station practical examination where you are put in front of live patients in simulated game and emergency situations as well as radiology, athletic taping & head trauma/concussion management. There is no curve on the practical exam. You pass or you fail. Each exam is filmed and proctored. Miss more than 2 sections and you take the entire practical exam over again. Miss 1 or 2 sections, and you can re-take those 1 or 2 sections. But that’s not all folks, in addition to passing the 2 national board written exams, the multi-station practical hands on examination, you must have completed at least 200 hours working with athletes in an “on field” situation. So, practical experience is also a requirement. However by this time, it’s not uncommon for diplomate candidates to have in excess of 500 to 1000 hours of experience working with athletes outside their normal office hours. If you put this in context of getting a bachelor’s degree (60 hours) or a master’s degree (120 hours) and the practical experience requirement takes on a whole new context. Finally, each diplomate candidate must meet a sports medicine related publishing requirement and either publish or have their abstract accepted for publication in a scientific journal. You must maintain an active healthcare practitioners CPR/BLS card as well. So building on the base that Dr. Erle V Painter started, combining the professions of athletic training and chiropractic, the education of a certified sports chiropractor (CCSP) and the chiropractic sports diplomate (DACBSP) now combines elements of emergency medicine, radiology, nutrition, athletic training, physical therapy, neurology, soft tissue mobilization, chiropractic, orthopedics and much more. It is specifically because of this kind of formal knowledge and practical experience that sports chiropractors are sought out by top professional teams, Pan American & Olympic athletes as part of their sports medicine team and as consultants. But you don’t have to be a top Olympian or professional athlete to get that same level of care. If you're training for a 5k, half marathon or an Ironman Triathlon, or play pickup basketball in the park, now that you know the difference, you can find a “sports chiropractor” for yourself and your team. There's a reason the pros and the Olympics all have a sports chiropractor part of their team. 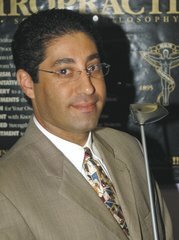 If you're here in Miami or Miami Beach, you can find more about my practice at: www.NaturalSportsMedicine.com. If you're not local to South Florida, then just visit the American Chiropractic Board of Sports Physician's web site directory and put in the specifics for your state and city. All CCSP and DACBSP that keep their education and credentials up to date are listed there. I really enjoyed your website. Awesome content. Please continue posting such really good cotent. Thanks a lot for posting this.